Researchers at the Francis Crick and Gurdon Institutes have pinpointed the mechanism that activates a key point in embryonic development. This could help scientists develop new treatments for diseases where the cell cycle is disrupted, such as cancer. The earliest stages of development in many animals happen very quickly. There is a rapid expansion in the number of cells that make up the embryo structure known as the blastula. The mid-blastula transition (MBT) then marks a key point in development. Two 'gap' stages are added to the cell cycle – the longer cell cycle is associated with the onset of cell motility and the beginning of gene transcription, the process by which the genome is read. To investigate the mechanism that activates and coordinates the MBT, the researchers focused on a particular checkpoint molecule called Chk1. In frogs, they showed that this molecule becomes activated and then triggers the degradation of another molecule called Drf1. Drf1 is responsible for controlling the length of the cycles of cell division during early development. When it is degraded, the cell cycle is extended by the addition of the two gap stages. This mechanism ensures that the gap stages are added only after the egg has divided into the exact number of cells needed for normal development. The cell cycle is the vital mechanism by which cells divide. It begins at the very earliest stage in development and continues throughout our lives, renewing cells such as blood, hair and skin. 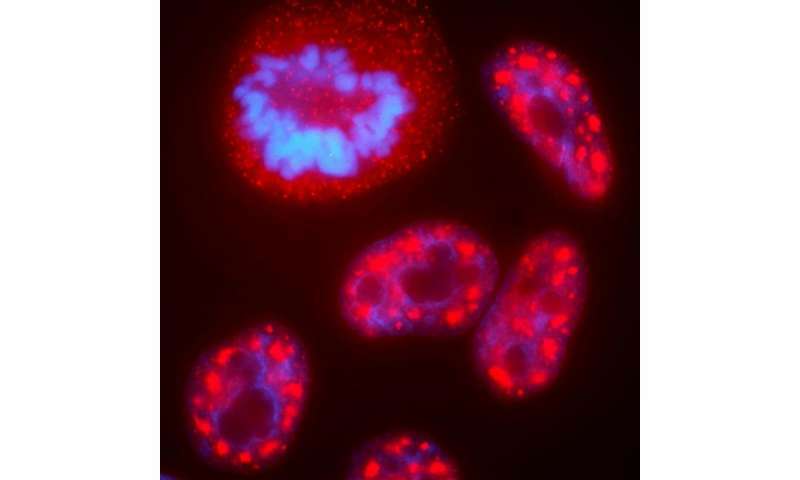 When the cell cycle becomes disrupted, it can lead to cancer developing. It's essential that we understand all the intricate details of this process to enable researchers to better design drugs and treatments.